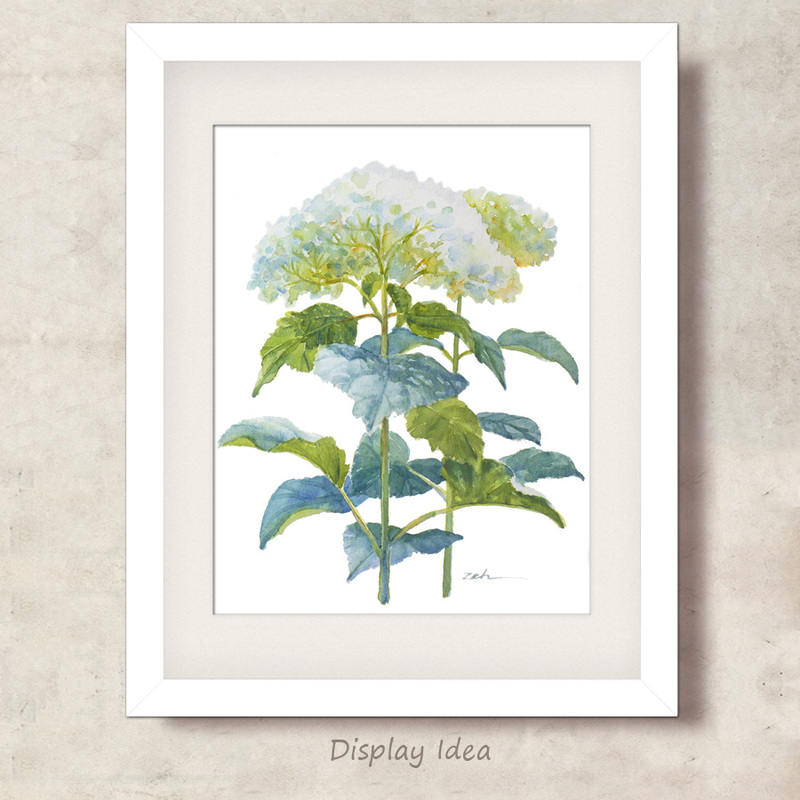 Lovely white hydrangeas with dancing leaves. Contact me if you'd like this painted just for you at any size! 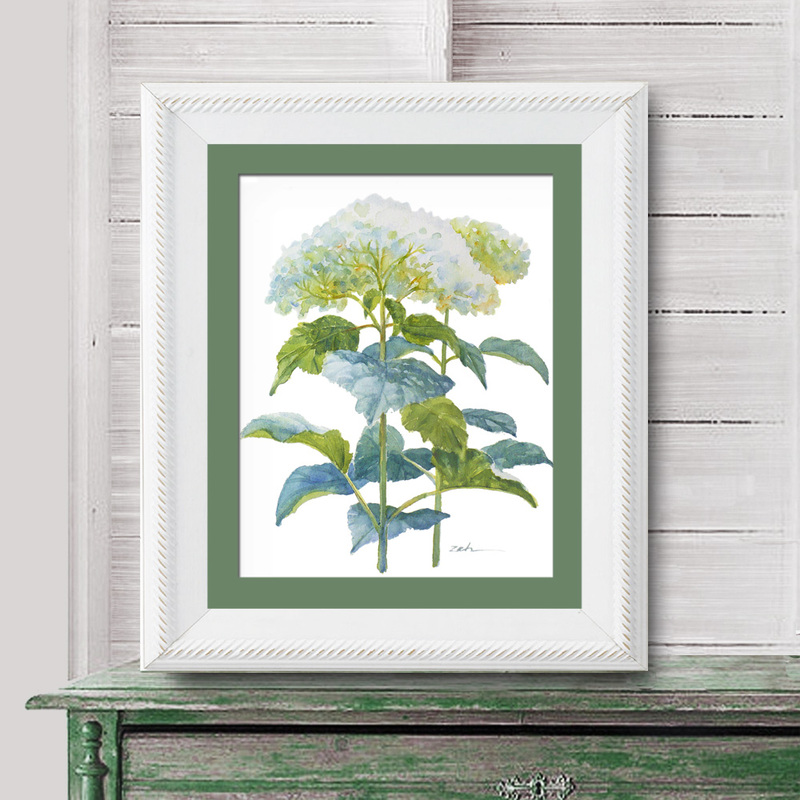 The leaves of hydrangeas can be as fascinating as the flowers. 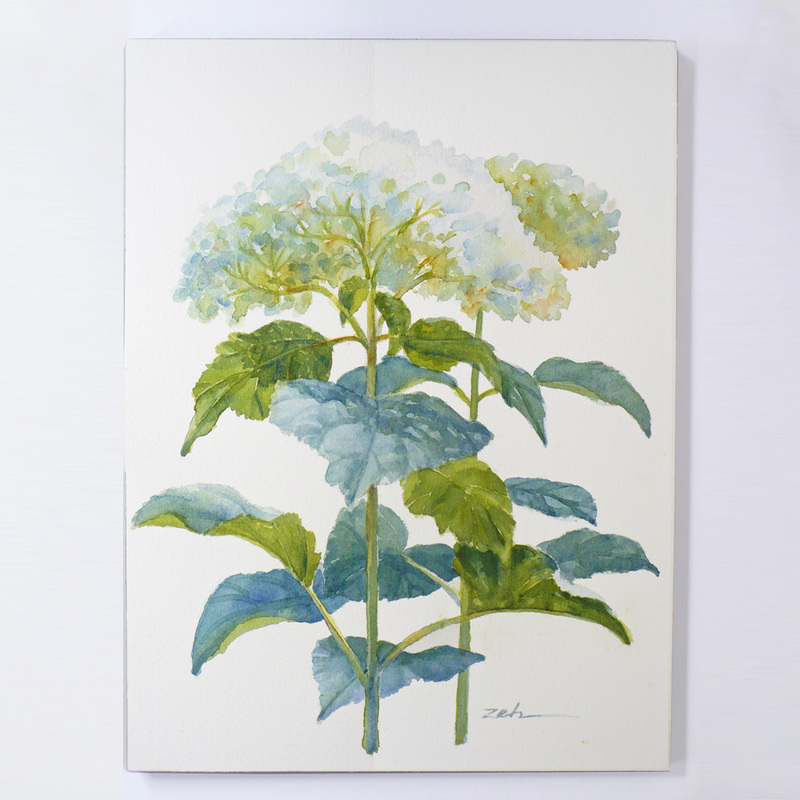 This painting of an elegant bloom mirrored by another behind it is inspired by the beautiful hydrangeas that bloom in my garden. 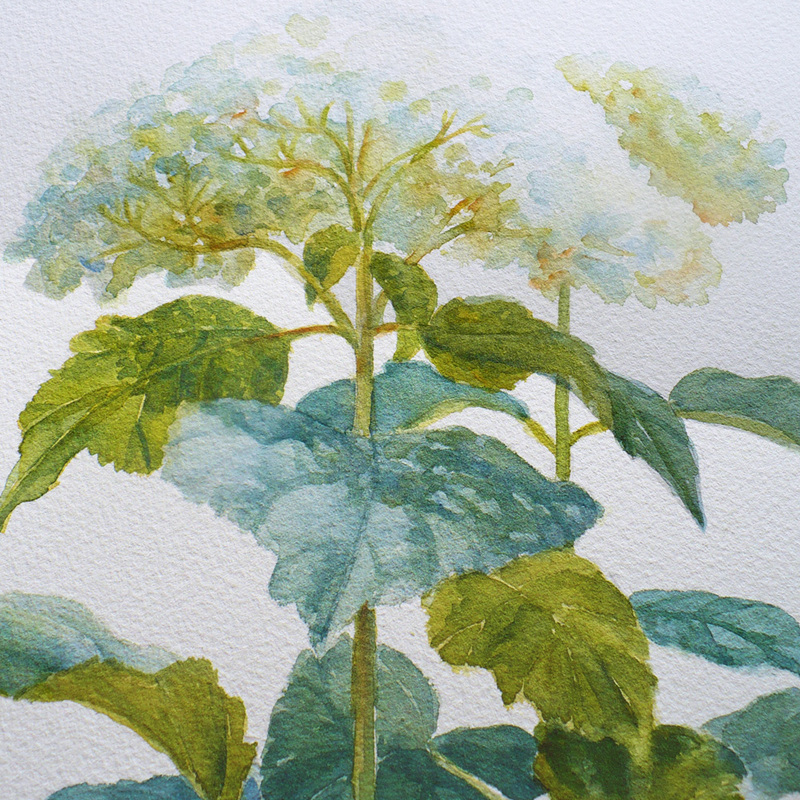 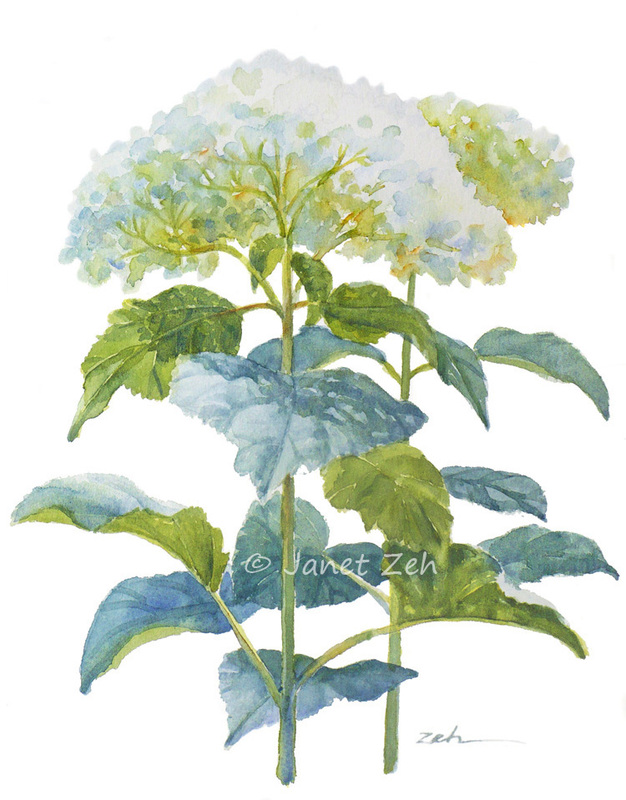 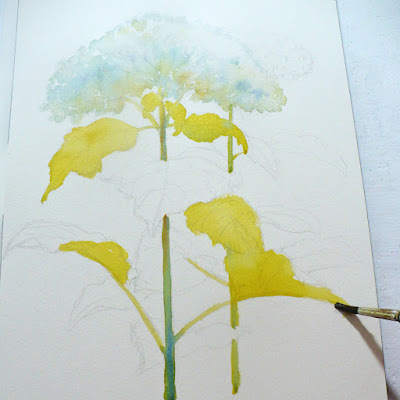 It is number 24 in a series of hydrangea watercolors. Painted with permanent professional paints for a rich color that lasts.